Bentley Farm Gazette: Caleb's Eleven! 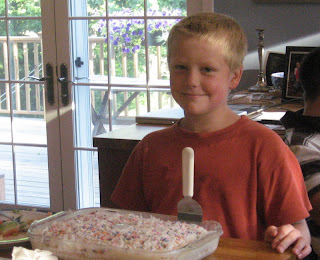 The youngest among us turned eleven today, in the bliss of new Legos and homemade cake! Speaking of homemade food, it turns out that Sean is quite the Italian cook and he has been treating the family to Italian feasts! 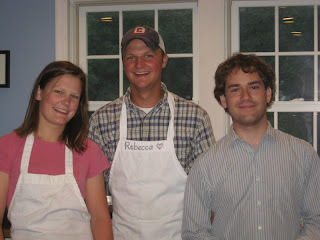 Isaac and Hannah volunteered to help, and completed their style with aprons! Bentley's Teacup Meets Tea Island! You Will Call Me "My Husband"